COLLECT. CONNECT. AUTOMATE YOUR MARKETING! 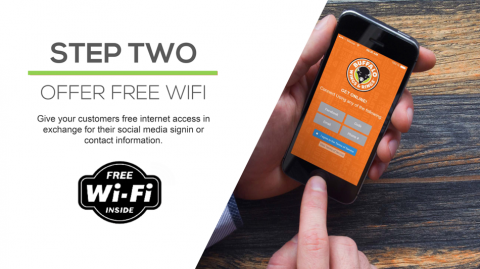 Customers using your free WiFi are asked to engage your social media channels or enter their email address to access your free WiFi. Data is clean, accurate, and automated. No data entry necessary. 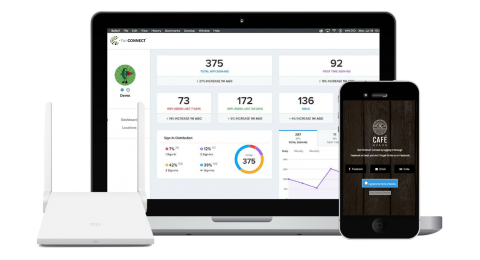 * Grow your customer email and mobile lists daily. * Gather feedback, ratings and reviews. * Segment by gender, age, device. 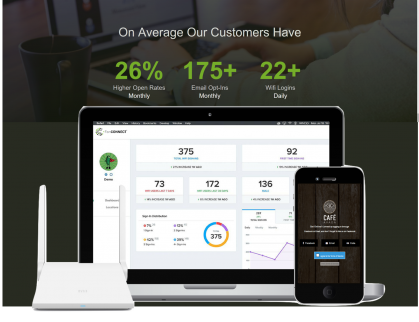 * Bring lost customers back with automated emails & Texts. Simple plug-n-play, up and running in minutes, reach your customers, boost your sales. Quick and Easy marketing platform that gets customers frequenting your business more often, increases how much they spend, virally grows your word of mouth and more! It couldn't be any easier. With our WiFi Marketing platform. Completely turnkey. Plug in the WiFi CONNECT router, connect it to your cable modem or existing router, and your customers can start using the Internet, you start collecting email and mobile numbers and growing your business. We setup your name of the network, data preference and design your welcome page where your customers will provide their email addres, Facebook account or mobile number to access the web. Create automated triggers that send offers, engage your customers, promote menu items, or build loyalty. We'll set everything up for you, provide you with signage - completely turnkey. Access from any device. Access our super simple dashboard anywhere. 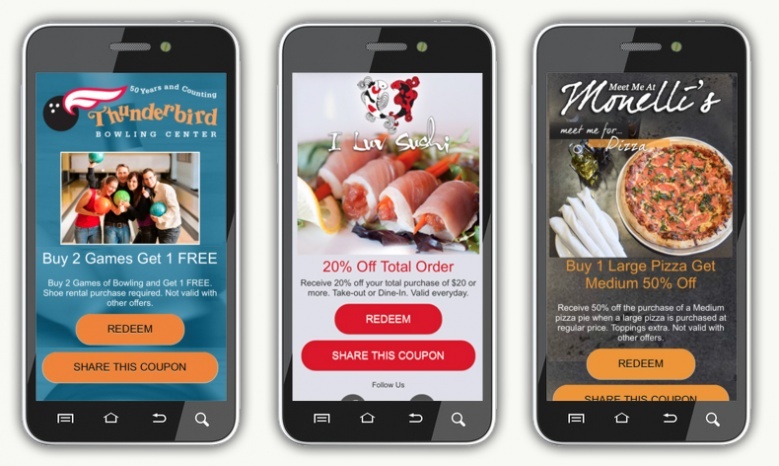 Build customer email or mobile# list of your customers, send offers or engage your customers. Send the right message at the right time. No software to install. 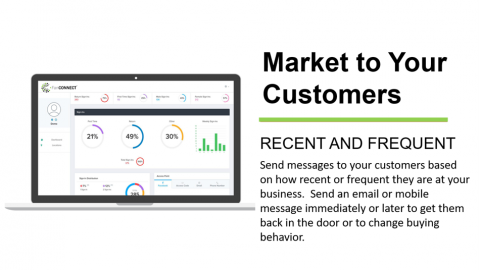 Quick and easy access to your customers email and mobile numbers, and automated triggers. Stay in-touch with Engage. Connect with Patrons and keep the sales coming. Export to excel, xml or other formats. 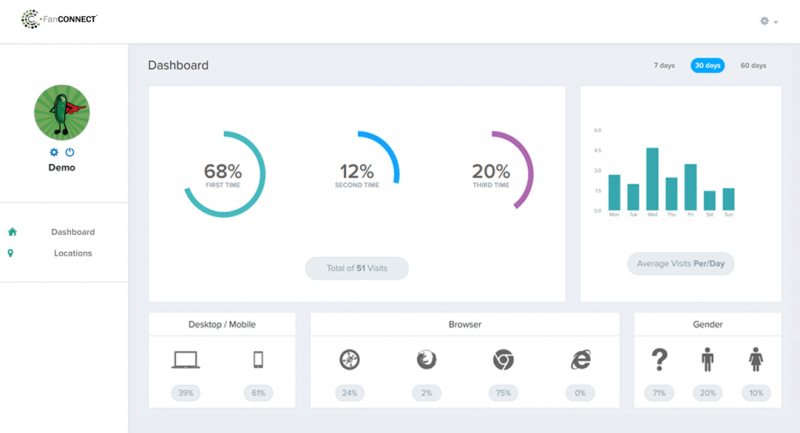 Access the CONNECT WiFi dashboard and get user information like the performance of your guest logins from first, second and third visits, daily usage stats, devices using your wifi and gender. Create & Manage your marketing triggers and more. Design your login splash page using our easy editor or have FanCONNECT design it for you. Customizable with your logo, colors, backgrounds and select how your patrons access the internet with email, facebook, mobile or secret code logins. Build your word of mouth, Grow Your Customer List and Stand out from the crowd. 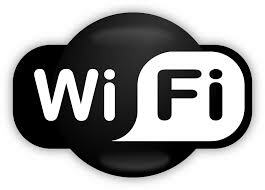 Your customers use their email, Facebook account or mobile number to access your free wifi. Send new new item messages, coupons, and more. We're here to make this easy and simple. 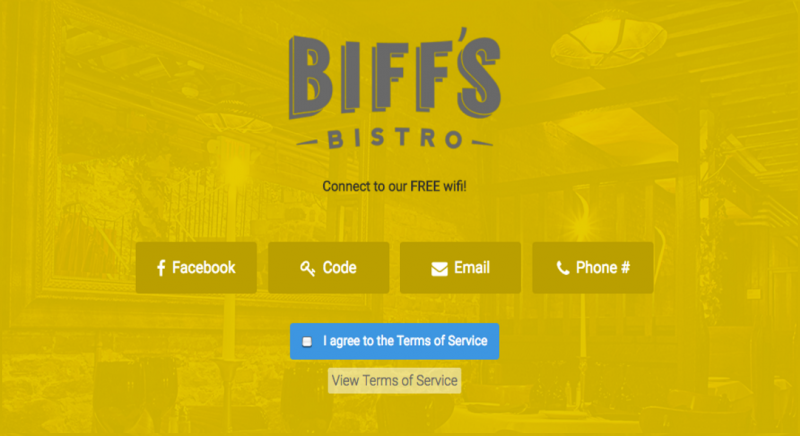 Our staff will create and manage your wifi marketing.. Reward your customers for referrals, spreading word of mouth, and purchases. Let FanCONNECT send offers, coupons, specials and promos automatically.